At the Community Foundation and ConnectVA, we are so excited to share more stories of individuals in our community lending a hand to help another through the Help Somebody Hall of Fame. As in 2017, we are accepting nominations from the community at large and will highlight a compelling submission each month. Once a quarter, we will select (at random) two people to receive a $1000 grant made in their name to give to a local nonprofit of their choosing. How does Michelle demonstrate the spirit of the “Help Somebody Hall of Fame”? Michelle is a volunteer for our organization and selflessly gives her time as though she were a full-time employee. If she is welcoming a new patient at the airport she will stay and wait for them even if their flight is delayed, or, if it starts snowing! Michelle not only selflessly gives her time, she also gives her heart to the families we serve through her good humor and her friendly and open demeanor. Our families arrive from other countries scared and unsure. Michelle instantly makes them feel at ease. She warms them with her smile and interacts with their child as if they were her own – to the point she has been made a godmother many times over. If she knows a child is going to be having a birthday during their stay here, she will bring them to her house and throw a party. Similarly, she makes sure every child has a chance to experience Sweet Frog and other American wonders, like Walmart and Dollar Tree. No task is too big or too small for Michelle. What is the impact of Michelle’s generosity? Michelle’s impact goes beyond words and is further multiplied by the number of families she has touched. Michelle meets and assists with almost every single family for whom we facilitate surgical care in a year; that’s close to 50 children a year since 2010. 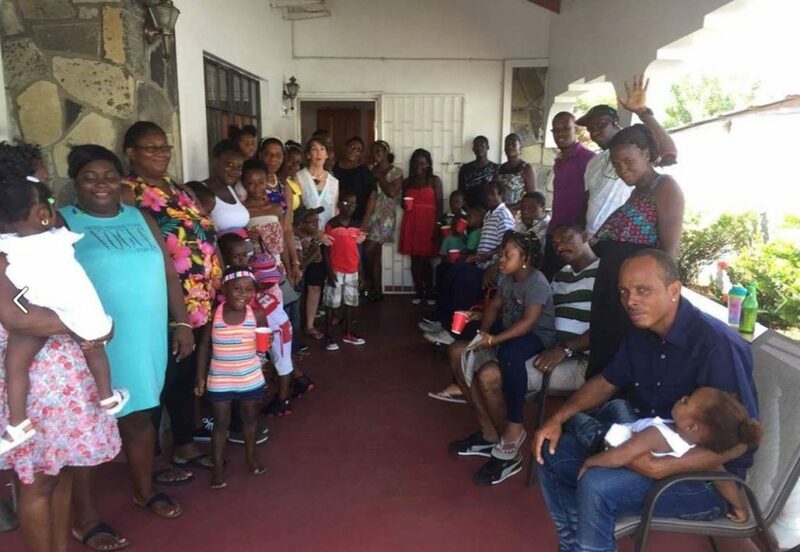 When she traveled to the Caribbean island of St. Vincent last year (where most of our patients are from) the patient families threw a party for her attending by at least 60 former patients with whom she had connected. Her kindness in some of their darkest moments with a child suffering from a major medical problem is not something they ever forget and something for which they continue to show gratitude and keep in touch with her over. Michelle in St. Vincent at a party the families put on for her. There were about 50 families in attendance whose lives she had touched. Michelle not only serves our organization selflessly, but does so in the rest of her life as well. 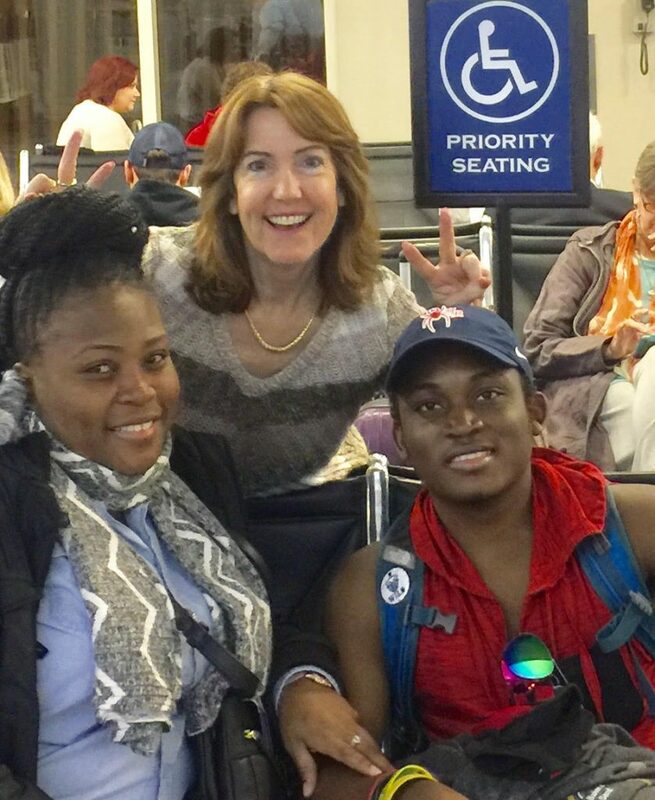 When she met a young woman studying to be a doctor while traveling abroad, she invited her to live in her home for six months to learn English. She is the first one to take in any stray animal needing of a home. She also faithfully served the public school system for over 20 years as an art teacher. Michelle demonstrates her love and compassion for others in everything that she does. We have a list of close to 400 volunteers, and Michelle’s dedication is unparalleled. She is the first to offer help and the last to go home at the end of the day. Our patients have needs 365 days a year, 24 hours a day. Michelle doesn’t shy away from late nights or early mornings, but rather always asks me “what can I do to help?” Our program would not be the same without her. What amazing article!!! I met her ( actually I’m the young girl wo is going to be medical doctor in 6 months) She is a person with a big heart, so kind and so selfless. I considered my self so lucky to have met her seven years ago, I considered her a role to follow, so I’m glad that she received this kind of highlight! Michelle is a great representative of your organization. I’m so proud of Michelle’s tremendous good works! I have read the on line posted review. I could not agree more! I have known Michelle for almost 30 years. She truly is a tireless & selfless angel to so many less fortunate families and children. What a fabulous story and a generous, caring volunteer! Thanks for giving back, Michelle! I salute your caring service to help children who were not fortunate enough to live in the U.S.! These children uncared for , do not die but suffer for years. 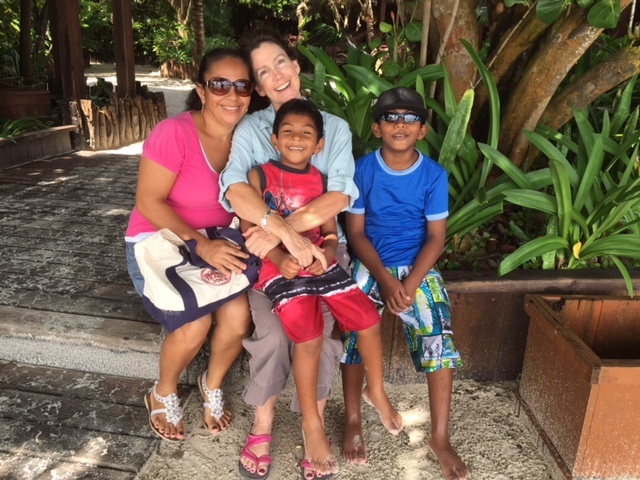 I have been with World Pediatric Project from the beginning as a Board Director, pediatrician, and volunteer; and have seen their lives transformed because of devoted missionaries like you.. Keep up the good work Michelle! Ms. Smith was my middle school art teacher and I was lucky enough to have her for homeroom, too, when I was a new student in 6th grade 20 years ago! She was welcoming and kind then and I see that her reach has only increased since that time! Wow. Thank you, Ms. Smith, for all you have done and all you do! You are an inspiration! I’ve had the honor and privilege of knowing Michelle since childhood. She is one of the most loving and caring people I’ve ever encountered. Her kindness, authenticity, selflessness and humility are unmatched by anyone else I’ve ever met. Michelle has a way of making anyone in her presence feel as though they are the most important person in the world to her! God Bless Michelle for all of the ministry and love she shares with others! Wonderful article about a wonderful woman! I should know … my best childhood friend (since I was 6 and she was 8) … AND — she became my sister-in-law many years ago!! Michelle has a beautiful heart and a smile to match!! She is the best and I can see why WPP is happy to have her as a volunteer! !